JACKSONVILLE, Fla. - A photo taken by a Jacksonville Beach runner who had just completed his first Boston Marathon was described by the FBI as one of the best photos yet of the man the FBI called "suspect 2" walking away from the scene of Monday's bombings. David Green took the picture with his iPhone and posted it on Facebook earlier in the week. Thursday night, the FBI contacted him and asked him for the original, high-resolution version. The image was taken at the corner of Fairfield and Boylston streets showing several people running from the bombing. Suspect 2, wearing a white ball cap backwards, appears in profile walking away. "The first bomb hit about 100 yards from me. I heard it and thought it was a canon going off. Then I saw the second bomb go off in front of me -- about a quarter of a block away," Green said. 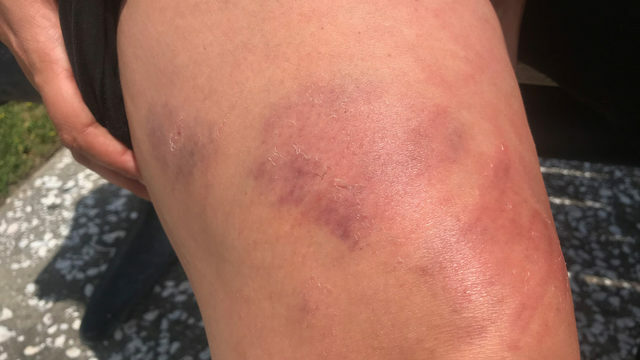 "People were really charging at me; it was stampede. I could flee or help. I pulled my camera out and took one snapshot." 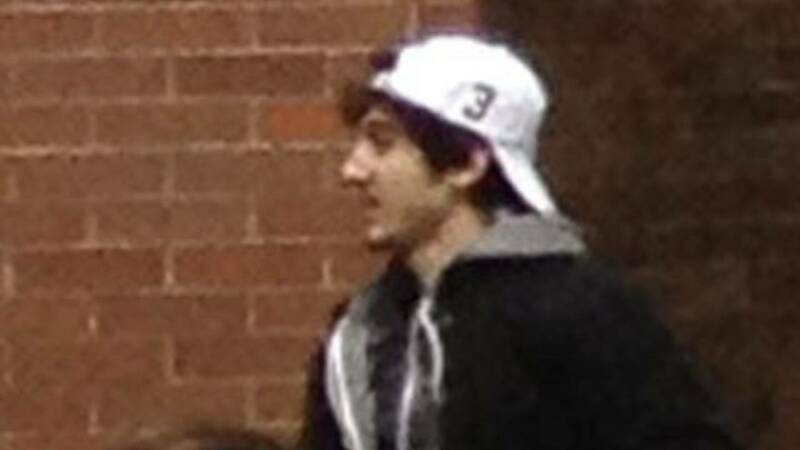 Green said he did not remember noticing the man now identified as Dzhokhar Tsarnaev walking in the white hat. 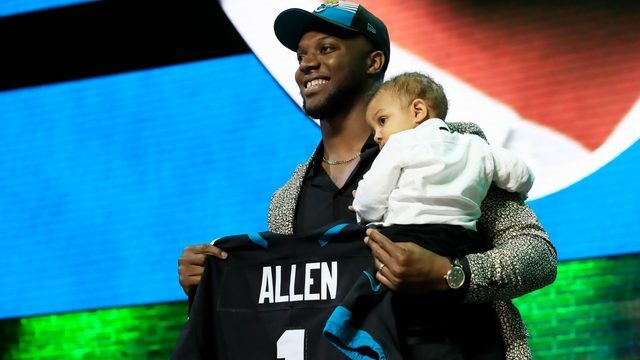 "From there I ran to see if I could help people," Green said. "I was incapable of helping anybody because that was well beyond anything what I had seen or could deal with." 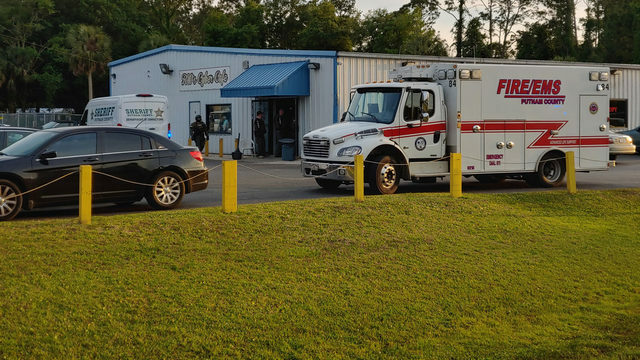 Green, who runs 100% Compression Wear, a sportswear company in Jacksonville, originally offered the photos to the FBI on Monday afternoon. When he got home, he posted his photos on Facebook. He said Thursday evening, after the FBI released their surveillance photos of the suspects, a friend texted to say he zoomed into Green's Facebook photo and saw a clear shot of Suspect 2. The FBI contacted Green on Thursday night asking to could get his original, high-resolution photo. He said it shows the power of social media. "I live in Jacksonville and this is up in Boston," Green said. "I felt joy that I actually have done something helpful in the case." Green said agents told him that his picture was the best they had because it was taken from a better camera than the others that were posted. 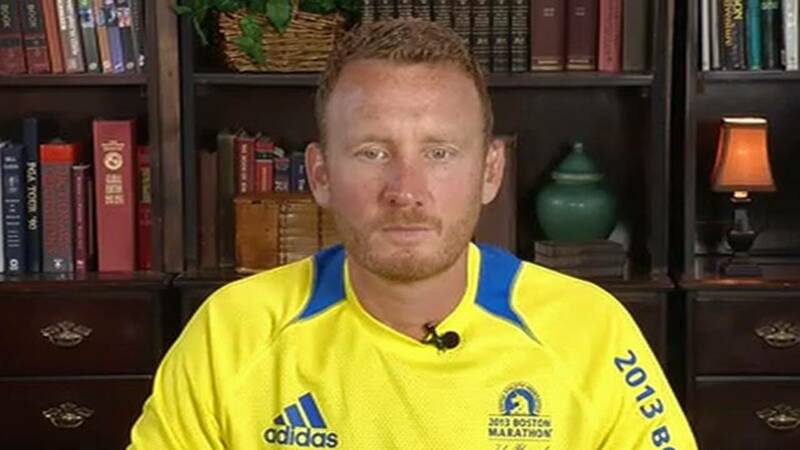 Green is glad he was able to provide such a key piece of evidence to the FBI, but said he can't help but mainly be depressed when thinking about the day of the marathon. But news Friday that one of the suspected bombers was killed and they were closing in on the second brought him some comfort. "I really feel detached trying to process what I saw there, which was horrifying," Green said. "You can't help people you see people die and maimed like that. At this moment, I feel a little bit of joy and a little bit of anger after seeing these guys being taken down. I think it's great. I feel a lot of sadness for people whose lives will be changed in a horrible way." Green said that after this experience, he is committed to returning to the Boston Marathon next year.